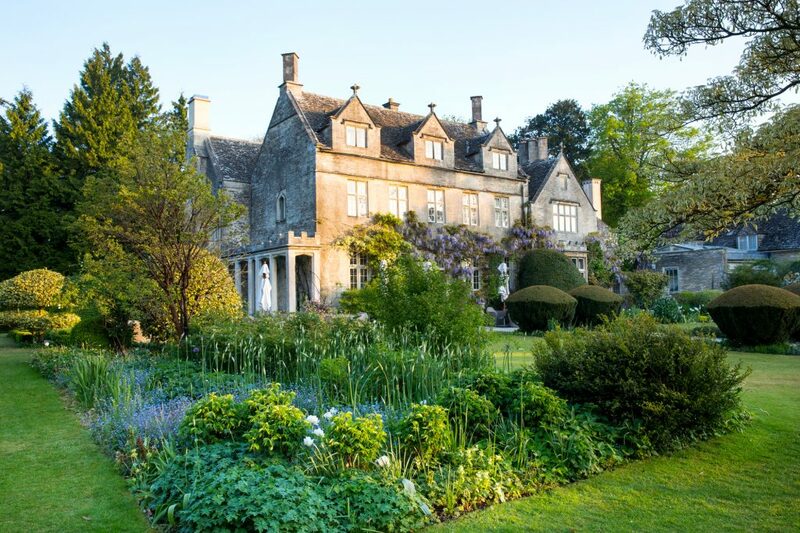 1)Barnsley House – A luxury Hotel in the Cotswolds. Take the pathway through Barnsley House Gardens and discover the Spa and outdoor heated hydrotherapy pool. The Spa is secluded, quiet and uncompromisingly peaceful. Dining at Barnsley House is a delight – local Cotswolds produce, fresh Barnsley Garden vegetables and freshly baked breads. Guests can explore the Gardens – featuring Knot gardens, Statues, the Laburnum walk and an ornamental fruit and vegetable garden.Rosemary Verey designed the gardens in the 1950’s to critical acclaim and world interest. 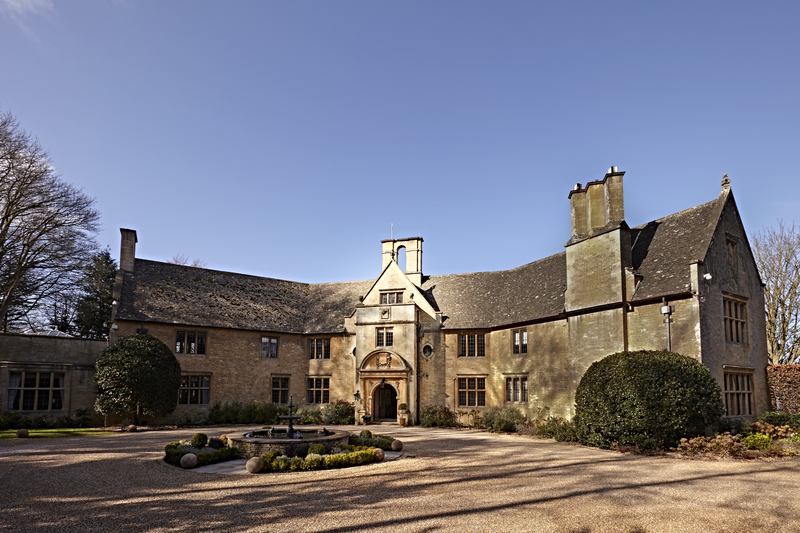 A luxury Hotel in the Cotswolds offering a special stay in unique and opulent surroundings.The Hotel’s aim is to make guests feel really welcome in a relaxed and friendly atmosphere.The Hotel is favourite with celebrity regularly hosting actors,rock stars even Royalty. Tatler’s take on Oakhouse No 1 ‘ This is the Notting Hill of Gloucestershire .. a little rock and roll.. a little country classic.. the vibe is fizzy French house party. A quintessentially English Country destination. 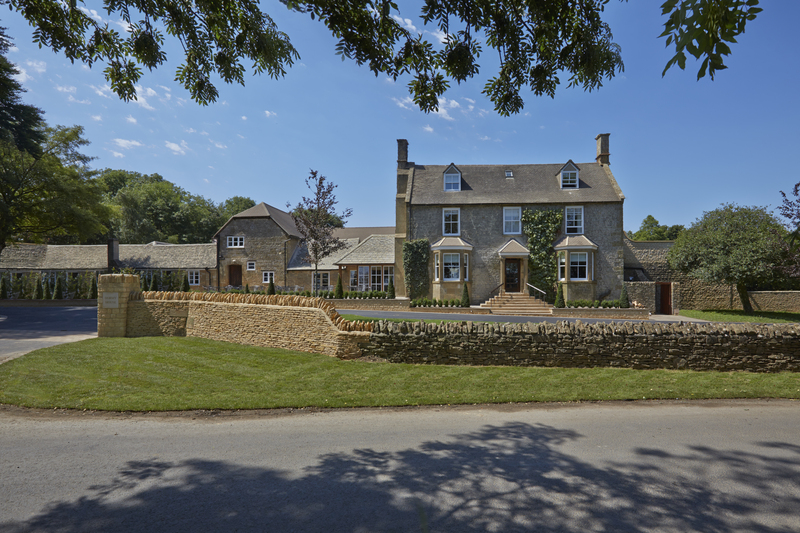 Nestling on a country estate of 150 acres, the boutique Thyme Hotel is complemented by picture perfect cottages, cookery school,tithe barn for dinners,sophisticated cocktail bar and restaurant in our country pub The Swan. A unique dining experience awaits in the magnificent space of the Medieval Tithe Barn. Love the food .. why not explore the cookery school programme. The school is led by the seasons and what is best to buy,cook and eat now. 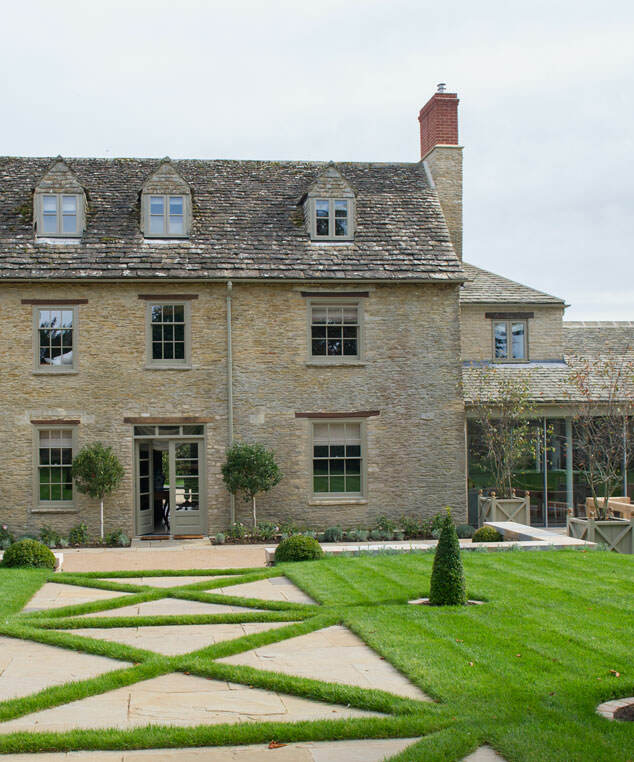 Over the last 35 years Dormy House has grown to be one of the most beloved Hotels in the Cotswolds. Renowned for its personal service, passionate management and luxuriously laid back atmosphere. 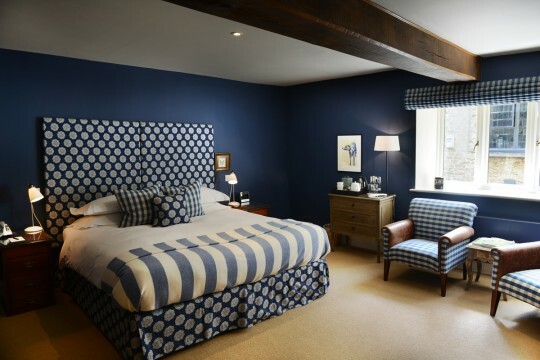 There are stunning Cotswold bedrooms for every mood.Whether you want to go Traditional in the main Farmhouse,private and secluded,super stylish or rustic in Rose Cottage,there’s a room waiting for you. Dormy House Spa is all about you feeling absolutely fabulous. It has been winning awards since it first opened. On offer is an indoor/outdoor blend of soothing therapies, serene pool,terrace hot tub and a Scandi style thermal suite. Foxhill is a private Manor- House Hotel in the Cotswolds, overlooking the village of Broadway. An intimate Grade II listed Arts and Crafts country home revitalised for the 21st Century. All the charm and character of a boutique-hotel hideaway, served up with heartfelt personal service and an easy going at-home atmosphere. Guests are encouraged to pop into the kitchen and chat to the chef whenever you are hungry.Similarly you are invited to go down into the cellar to browse the wines on offer, help is at hand to pick that perfect wine for dinner. With a massive TV the media room is the perfect place to enjoy a post- dinner movie. Alternatively the House Spa at the Dormy House ( just up the road) is available for your use. 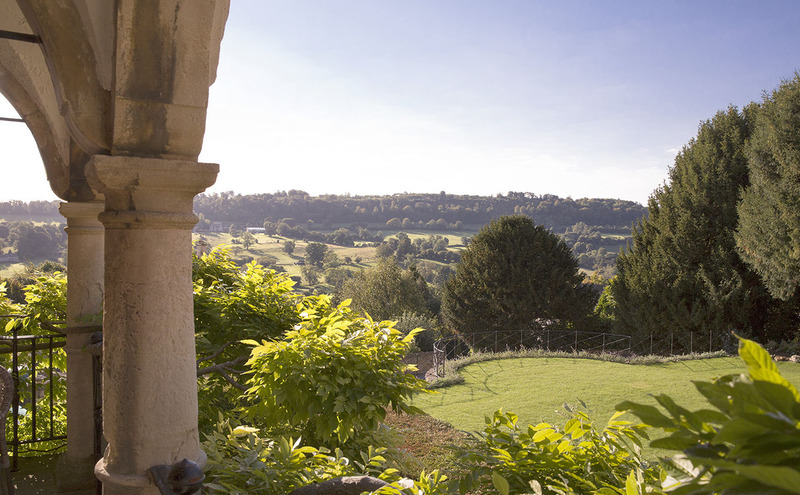 6)The Painswick – guess where? This has been awarded the Ultimate Hotel of the Year 2017 by the Sunday Times. At the very heart of the Painswick is the food. Fresh, punchy accurate cooking. Choose the special George Suite which comes with it’s own Romeo and Juliet Balcony! Spoil yourselves in one of the two dreamy treatment rooms by the Calcot Spa. Choose the one tucked away in the eaves or the other snug in the garden room. 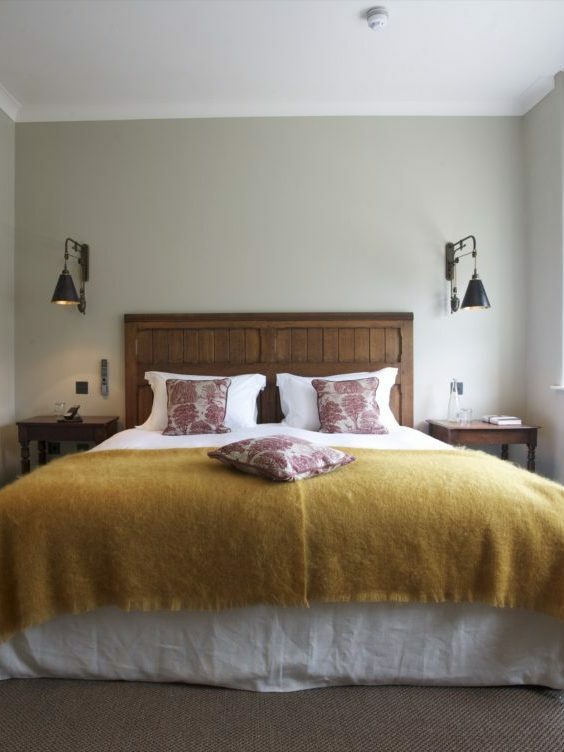 The Telegraph review of the hotel ‘A lovely low key country house hotel with a beautiful English garden.It’s Georgian proportions and stylish interiors make it an elegant home from home. Menus evoke a country house of old but updated to give unfussy dishes such as Beef wellington, local Crayfish ,smoked eel and florentine doughnuts. A cheese trolley adds a little bit of theatre and fun to the dining room. The King’s Head Hotel is an elegant boutique hotel with 46 stylish bedrooms and 6 apartments, a unique subterranean Spa and relaxed British dining.The subterranean Vaulted Spa is a unique experience. Scented candles, exposed brickwork and indulgent treatments providing the perfect environment for a tranquil Spa experience. Located in the central Cirencester Market Square it is ideally situated to explore the historic Market Town. A picture of English splendour, this former 16th Century town house is a country hotel like no other. Everything revolves around you. Explore Tetbury’s historic Market Place or indulge in the boutique shops and renowned Antique shops. After shopping come back to the sanctuary of your room. All rooms are furnished with big beds,Molton Brown toiletries, fluffy bathrobes and slippers. Classic country style blends with contemporary design to create rooms where no two are the same. Dogs are most welcome – specially allocated rooms accommodate you and your pooch. Breakfast, Lunch or Dinner , you will never go hungry.Our seasonal menus utilise the fabulous local produce creating classic dishes with a modern twist. 14 beautiful decorated rooms are designed for comfort, blending a traditional coaching inn with modern luxuries. All rooms have Hypnos beds with beautiful cotton linens,and power showers. The menus are all about great quality, locally sourced,simple rustic food. Wherever possible we use local suppliers and in doing so supporting rare heritage breeds.